The design of the Beetle is often credited to Ferdinand Porsche, however Porsche had a team of designers working for him, head of car body design at this time was Erwin Komenda. Komenda was born on the 6th April 1904 in Jauern am Semmering in Austria. After graduating from Technical Institute in Steyr, he attended a coach–building course in Vienna. Following his studies Komenda started working in the automobile plant in Steyr where he first met Ferdinand Porsche who was the technical director. 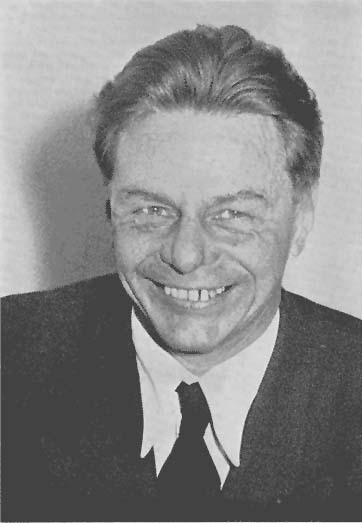 Komenda worked on several innovative projects and was offered the position of Chief designer for the test and development departmentat at Daimler-Benz AG where he stayed for 2 years, then in 1931 he left this highly paid job to join Ferdinand Porsche's newly founded design office, to take up the position of Chief designer and head of bodywork construction. On the 18th of January 1936, Komenda sketched his first 'peoples car' design. The design consisted of separate wings (fenders) that were bolted onto the main body which itself was a streamlined shape and very modern in it's day. In 1937, 30 pre-series cars were built at the Daimler Benz bodywork plant at Sindelfingen. This included 29 saloons and one convertible, each made with a full steel body and no rear window, powered by an aircooled 22hp 4 cylinder engine in the rear. The 1937 Porsche company regulations required that all employees must become members of the National Socialist Party, Komenda evaded this rule and preserved his neutrality. In addition to this he also refused to raise his hand to greet the Führer and addressed him as "Mr Hitler", high-ranking Nazi officials where often outraged by this provocative behaviour. 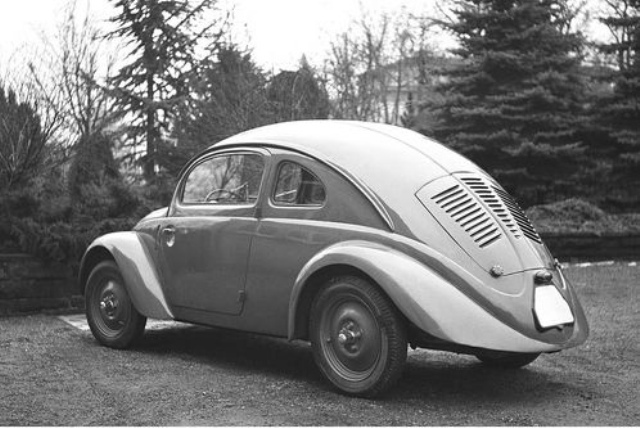 In 1938, 3 sports coupes based on the KdF Volkswagen were commissioned by the National Socialist Drivers’ Corps for entry into the Berlin to Rome race for propaganda purposes. 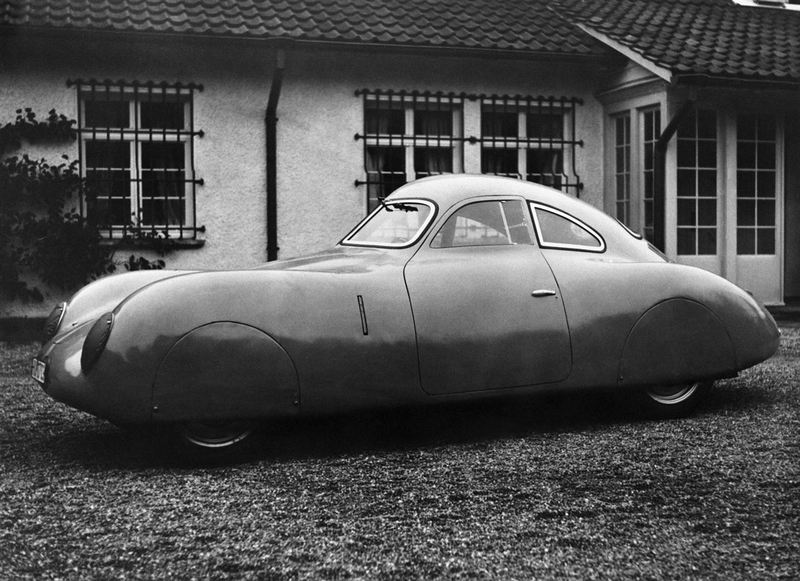 The body of the Porsche Type 60 was designed by Komenda and built by coachbuilders Reutter in Stuttgart, made from alluminium and powered by a 1.1 VW engine, it was capable of 150kmph. The outbrake of war stopped the Berlin-Rome race and attention was diverted to military matters. At the end of the war in 1945, the Volkswagen plant was in the hands of the British and Major Ivan Hirst who were keen to start production of the Beetle as a replacement for the worn out alied vehicles. The Porsche workshops however were in the American sector and the US Army were of the opinion that all of Germany's industry should be disolved to prevent another war. The country was also going through a denazification process and as a result Komenda, Porsche and other engineers where held at the American internment camp at Glasenbach. After extensive questioning, the Porsche engineers were released - however Porsche then became a prisoner of the French. 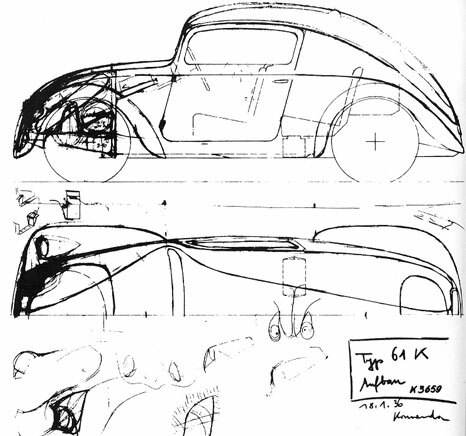 The design team continued as best they could to design cars, in November 1946 Erwin Komenda sketched some ideas for a sports car, this would eventually turn into the Porsche 356, although production would not start until 1950. In 1949 the Volkswagen construction office in Wolfsburg were having problems. The consultation contract between Porsche and Volkswagen had expired, so Komenda was asked to join the Volkswagen development department in Wolfsburg for one year. 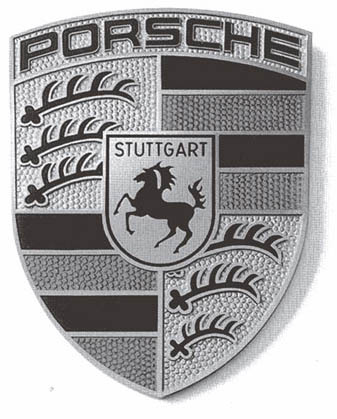 In 1952, Ferry Porsche commissioned Komenda to design the Porsche Emblem. The design Komenda came up with included Stuttgart's heraldic animal and the heraldry of Baden-Württemburg. Komenda continued to lead the development of the Porsche 356, while also designing the Porsche 550 Spyder in 1953 and also the 911 in 1959. During the development of the Porsche 904 and 911 there was a certain amount of conflict between Komenda and the Porsche family within the company, ending with the 911 being built closely to Komenda's design. After a long and serious illness, Komenda passed away on the 22 August 1966. 27624370 page views since 8th October 1999. There are currently 57 users on the site.